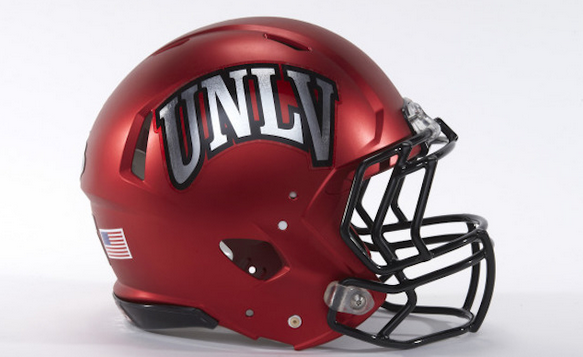 UNLV was picked to finish in fifth place in the West Division while wide receiver Devonte Boyd was the only Rebel chosen to the preseason all-Mountain West Football Team released this morning at the league’s annual Media Days at The Cosmopolitan Hotel. The Rebels, who went 3-9 last season in their first season under Tony Sanchez, were picked to finish ahead of only Hawaii but finished just three points behind fourth place Fresno State. Boise State was chosen to finish atop the Mountain Division, while defending Mountain West champion San Diego State was predicted to win the West Division title in the poll of select media members. Boyd, a 6-foot-2 junior from Basic High who has 119 receptions for 1,884 yards and 11 touchdowns in his first two seasons at UNLV, was one of two wide receivers chosen to the 26-member preseason all-conference team. San Diego State was selected as a unanimous choice to win the West Division and swept all three preseason Player of the Year awards. Senior running back Donnel Pumphrey, who starred at Canyon Springs High School, was named Preseason MW Offensive Player of the Year. Senior cornerback Damontae Kazee was named Defensive Player of the Year while junior return man Rashaad Penny was selected as Special Teams Player of the Year.